Blue Apple Books, 9781929766796, 7pp. 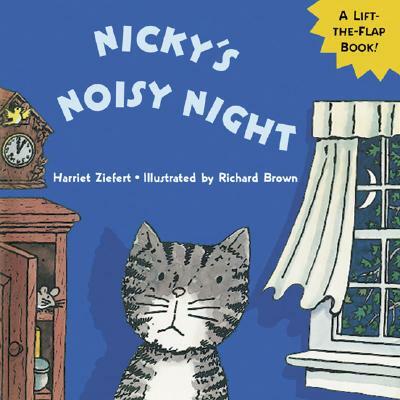 Nicky, the sweet young cat, is back in an adorable, small-size board book with large flapsperfectly designed for little hands. Late at night, Nicky, unable to sleep, tours the house to find the sources of the night noises that bother him. Toddlers, who love to ponder large issues such as what makes noises at night, will find the answers under ingenious flaps that reveal new scenes with every flip.